Managing a roofing companies can be a big challenge. Similar to operating other ventures, you have to handle a variety of things to properly manage the business from marketing and giving proposals to clients to managing your supply chain and production teams. Fortunately, an application for roofing business exists to make thing easier. Dataforma project management software is designed to streamline tasks, including monitoring proposals and documenting internal reports and invoices. The web-based roof management app optimizes roofing business operations with its power-packed features. The Dataforma system consists of the main web application, and a database where data is stored to manage the business. The core system can be accessed by company personnel such as the sales department, service department, office support staff and top executive management. Data can be shared by the management with clients and consultants through a company website including project history, work order information, invoices, photos, documents and building information. Data access is further enhanced through the use of a mobile device such smartphones and tablets. The mobile applications for iOS and Android devices empower businesses to connect to the project management platform and database of clients on the field. Contractors can easily communicate with their field personnel and supply them with information to better serve their clients. 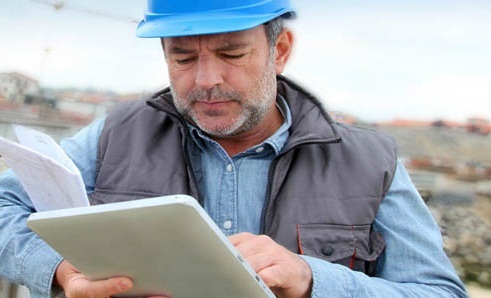 Team members on jobsites can access vital information and update project reports even before leaving the sites. Data security is assured through built-in mechanisms to prevent unauthorized access. Access is allowed only through a secure 128-bit encrypted website that meets industry standards used by banks and investment firms. Servers are located in fortified buildings while data is backed up every hour, saved to tape and monitored 24 hours a day. Maintaining customer loyalty, increasing the number of customers and attracting new customers through prompt response to their increasing demands. Security of information since all data are owned by the contractor with access controlled by a portal administrator of the company. Interactive relations with customers who can report service needs through the web portal and receive updates on work status. Promotion of a company brand since the access portal is customized with the contractor’s unique business logo.